We are proud to partner with Shane’s Inspiration on a common goal of promoting play for children of all abilities. Together, we’ve created nearly 50 Universally Accessible Playgrounds including the first in Mexico and Ecuador. Even more, we’re working with them to promote the animated short film, “Ian.” This powerful, Academy Award eligible film, aims to help children understand disability and spread the message of inclusion to every home. Tools to facilitate Q&A following the film can be found here. 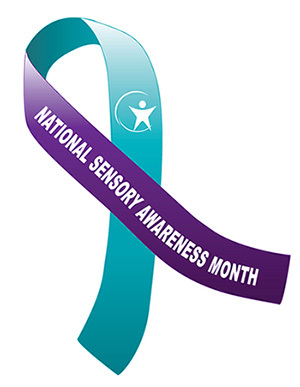 October is National Sensory Awareness Month… a time for us to help spread awareness of sensory processing disorder (SPD). SPD, which affects both children and adults, is a condition that exists when sensory signals don’t get organized into appropriate responses. 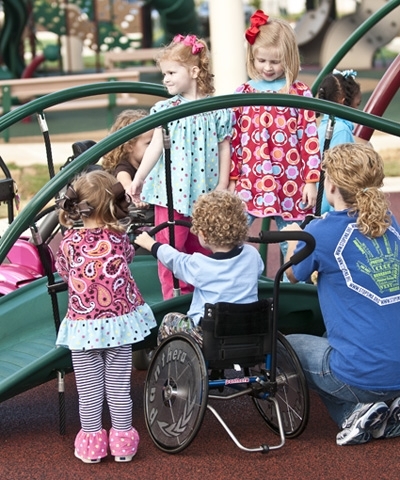 The causes of SPD are among the subjects that researchers at the SPD Foundation have been studying, and treatment often includes natural setting therapy like at home, school or the playground. 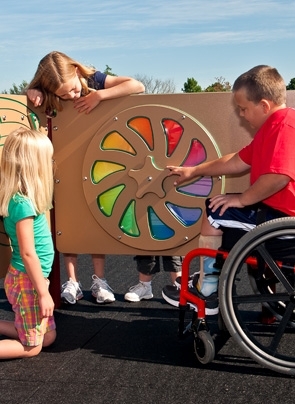 The benefits of sensory-stimulating playground activities—those that engage all their senses—affect children of all abilities. The more they engage all of their senses, the better they make sense of the world around them and their relationship to it. See our infographic below of five ways that children benefit from sensory play. The City of Lewiston, Maine, is the region five winner of the Together We Play™ essay contest. The vision for this community’s inclusive playground comes from a unique perspective–providing a place where children can not only play with their friends, but also with their parents or guardians. Read below to learn more about their vision for inclusion on the playground. “As parents of a 4-year-old, they want quality play time with her. Ben has been a quadriplegic since December 2007 and finding ways to play together has been difficult. The region 4 winner of the Together We Play™ essay contest is Kate’s Kause in Elmira, Ontario. Kate’s Kause is a 100 percent charitable organization committed to Angelman Syndrome awareness and fundraising for inclusive community projects. Read the excerpt below to learn where Kate’s mom, Kelly, gets her inspiration. The City of Gig Harbor, Wash., is the region one winner of the Together We Play™ essay contest. Their essay explains their inspiration behind submitting an essay–providing a place where all of their children can play together. Read the excerpt below to truly understand what inspired these moms.